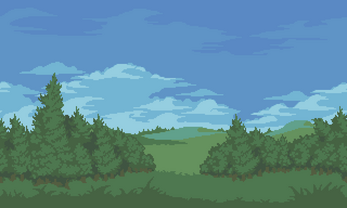 16x16px tiles with every possible tile variation covered, so you can shape your levels however you wish. Also included a parallax background, some background props like trees and rocks, a player character and a slime enemy sprites. 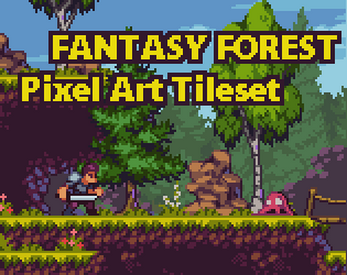 Full 16x16px Forest tileset with every tile variation covered. Slime enemy sprite with Walking and Death animations. LICENCE: This asset pack can be used in both free and commercial projects. You can modify it to suit your own needs. Credit is not necessary, but appreciated. You may not redistribute it or resell it. Note: No game code is included in the asset pack, the game gif is just for demonstration purposes. Hello , I created a small game using your assets. Quick question about the palettes associated.. Any chance they are / can be mapped into 16 colors? 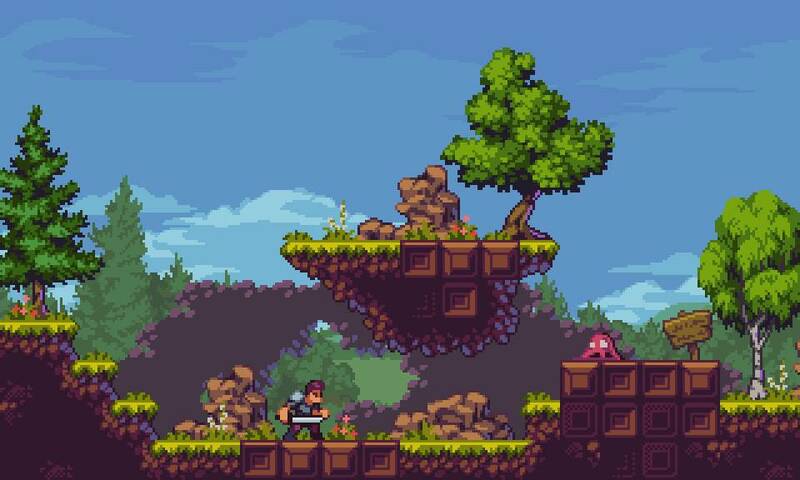 For systems like the Sega Genesis and GBA, most tiles are 16-colors only, so it'd be awesome if they'd fall into that..
Not sure about it really. If the limit is only no more than 16 colours per tile, then I imagine it could fit into that, but no idea how those old restrictions go, and what happens if theres transparency etc. well, theres definitely more than 16 colours here in the fantasy packs, so it might take some fiddling and tile edits to get to 16 colours. You can maybe check out my simpler 16colour packs. Thanks! If you mean gamedevmarket, then yep! It's updated there too, although they review everything by person, so it usually takes a long time to upload something. No idea when it will be live there. Hi! In the gif, there are some flying leaves but i dont see it in the pack, can you add it? Thanks! you can write tile number at example png? Umm, there isn't really any tile numbers, since it just depends on how your own tilesheet is set up. You should maybe take a look at the example image I provided, and take the tiles directly from there, it should help with understanding which tiles is which. :) If you can't figure it out at all, then let me know on what exactly you need and ill try to help! Hi! Is there any chance that you add another pack with more monsters and some animations for main character (may be sword throwing)? Yep, I will eventually! :) Not sure when though.